Ahlan wa sahlan wa marhaban! to the website of the Center for Arab-West Understanding! 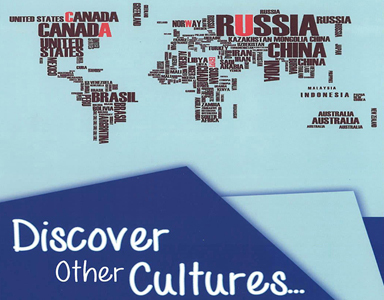 Established in 2007, CAWU has been promoting intercultural dialogue through a variety of programmes including meetings and forums with community members, religious leaders and politicians from Egypt and the West. Our aim is to bridge the gap of misunderstanding between Arab and Western communities by exposing biased media reporting and informing the public and important persons on complicated issues. Our most integral aspect is our internship programme which gathers talented university students worldwide and introduces them to Cairo and Egypt. Through their tasks at the office, interns contribute their research and translations to the electronic publication Arab West Report or to outreach and social media projects. We hope you enjoy the website and do not hesitate to contact us on info@cawu.org. إليـكم مـوقع "مـركز التـقارب بيـن العـرب والغـرب" الكائن في القـاهـرة بمصـر. ونقدم لكم الموقع باللغتـين الإنجليـزية والعـربية. وستجدون في القائمـة المـوجودة على يسـاركم النسخـة العربيـة أولاً متـبوعـة بالنسـخة الإنجليـزية. والمحتوى واحـد في كل من النسختيـن.